“Helmets came about as a result of trying to prevent skull fractures, from football to bike riding,” says Dr. Sharief Taraman, CHOC pediatric neurologist. “They also prevent moderate to more serious injuries, like bruising of the brain tissue itself. Helmets cushion the brain to prevent a more serious and possibly permanent brain injury.” Most moderate-to-severe head injuries can be prevented by wearing a helmet that absorbs much of the force of the impact that would otherwise be directed to the head, Dr. Taraman explains. A traumatic brain injury can range from a mild injury like a concussion to a very severe injury that can kill or lead to long-term disability. The brain’s chemicals can be disrupted, brain cells and neurons can be injured, and brain tissue can bleed and swell, Dr. Taraman says. “A concussion you will get over, but anything more severe to the brain will be permanent. If brain tissue dies, there is no way to bring that back.” Young children are particularly vulnerable. “Because they have a developing brain, the recovery from head injuries takes longer the younger the child is,” says Dr. Taraman. Parents should set an example by wearing a helmet when riding a bike, for example, and explaining to their children why it’s important to wear a helmet. “Kids are more likely to wear their helmets if they understand the importance of wearing helmets and see mom and dad wearing theirs too,” says Michelle Lubahn, a CHOC community education coordinator. 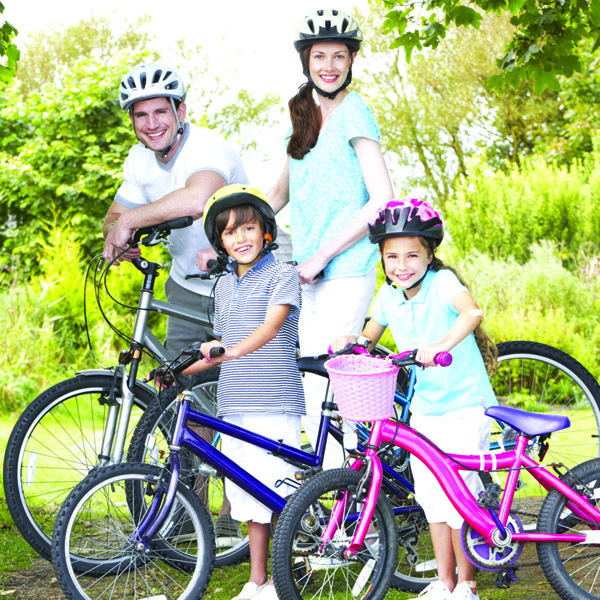 Your children are more likely to wear a helmet if they like the way it looks and can select the color or decorate it. Helmets come in many colors and varieties, so let your children pick the ones they like as long as the helmet fits properly, is the right kind for the activity and meets federal standards. A recognized leader in neurology, Dr. Sharief Taraman is a member of the International Child Neurology Association. Dr. Taraman directs the Concussion Program at CHOC. 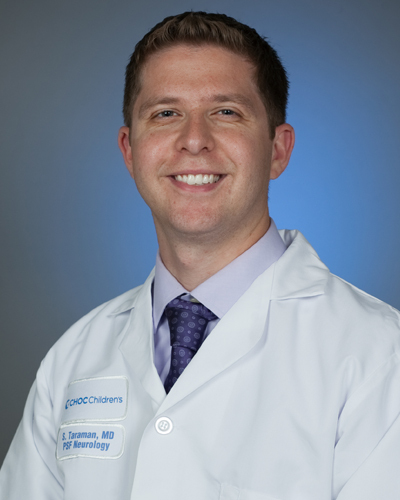 He completed his pediatrics residency and pediatric neurology residency training at Children’s Hospital of Michigan. With expertise in technology as well, Dr. Taraman also serves as a medical informaticist at CHOC, helping to integrate technology into the services, medical care teaching and health care CHOC provides. 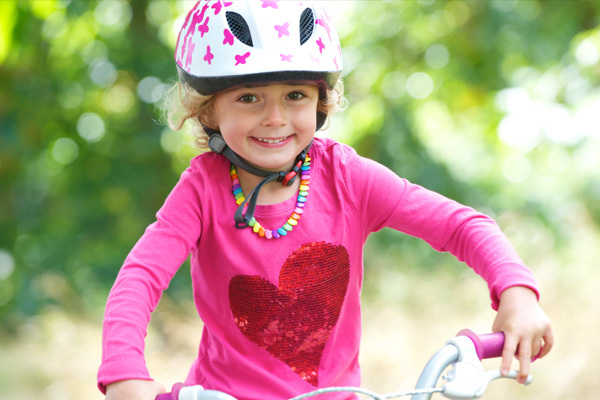 Most serious head injuries to kids can be prevented if they wear a helmet, but it’s important for children to wear the right kind of helmet, and to wear it correctly. Before you get there, however, parents have to make sure their kids will actually wear a helmet. Learn more about helmets on our Blog. A CHOC Children’s community education expert demonstrates how a helmet should fit properly on a child. Also learn tips about purchasing helmets and other safety equipment, as well as information about injury prevention. Any parent would be proud of a teenager finishing his sophomore year with an above 3.0 GPA; earning his driver’s permit; and blocking goals on the soccer field. Young wrists, forearms and elbows are vulnerable to injury. Few kids grow up without breaking a bone. Prompt, expert care of fractures is necessary. The word concussion comes from the Latin word to shake violently. A lot of times, people may hit their head and don’t realize it was a concussion. One of the most common sports injuries in children is from chronic repetitive stress. It is usually at the elbow, the wrist, the ankle, the knee or the foot.